The Blockchain Technology and Cryptocurrency conference this week will feature the biggest players in the industry. NewsBTC will be exhibiting at the Blockchain Technology and Cryptocurrency conference (BTCC) at the Courtyard Marriot in Mumbai this week, on August 10 2017. As one of the leading cryptocurrency and blockchain-focused media companies in the industry, NewsBTC will be in attendance for one of the biggest events of the year. The event will feature a plethora of companies and key players in the crypto space. The conference will feature over 90 participating companies, including NewsBTC, which will be serving as one of the event’s paramount exhibitors. In addition, key members of the group will be there as it kicks off an expansion into India and Southeast Asia. 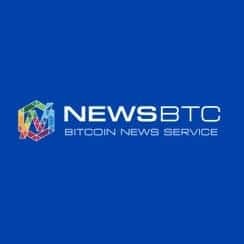 NewsBTC has been one of the fastest growing media outlets in the crypto space. Last month, the company underwent an aggressive expansion in its personnel, bringing in several marquee hires, including veteran journalists, business developers and financial analysts. India and Southeast Asia have been one of the fastest growing regions for the cryptocurrency industry. With demand for such instruments and valuations of Bitcoin and Ethereum at all-time highs, NewsBTC is strategically positioned to take advantage of a growing media emphasis. The group maintains integral relationships with leading crypto providers, helping facilitate a healthy growth in India and the broader region as well. While China has been at the vanguard of the cryptocurrency and blockchain industries in Asia, many feel India is capable of becoming a significant hub for cryptocurrency activity. Consequently, many fintech and e-commerce startups have already started upgrading and developing their infrastructure in the country. In addition to NewsBTC, the BTCC conference will feature speakers from Europe, India, and elsewhere, all showcasing their expertise and knowledge in the blockchain technology and crypto arena.